If you’re in the market for Camping tents there are plenty of options around ranging from cheap to expensive and small to big. 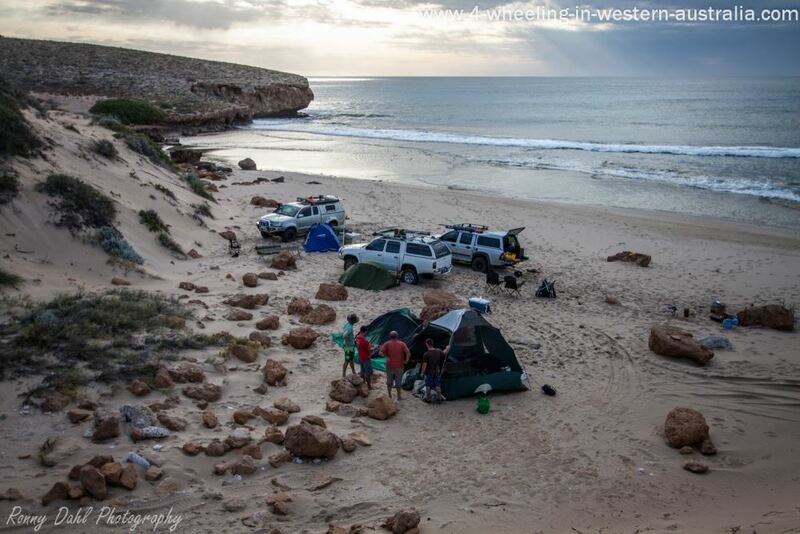 Depending on what type of camping you do and how often you intend to go camping will help narrow down what would suit your needs best. 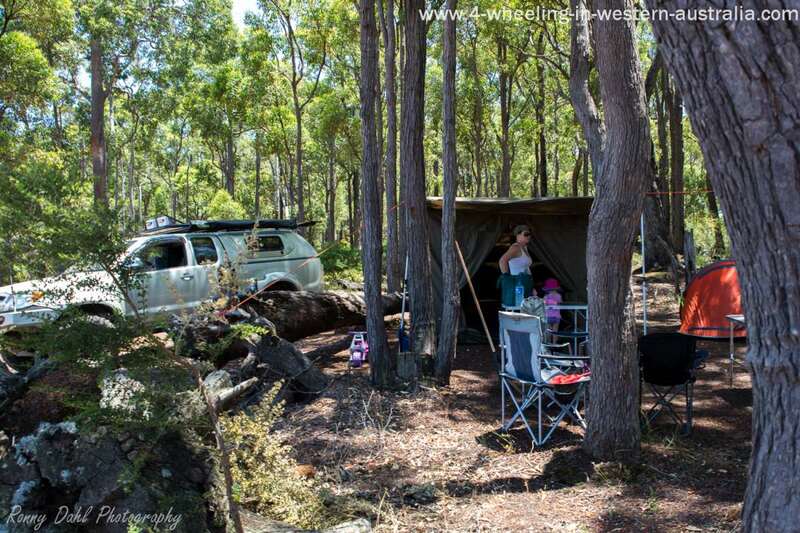 Do you go Camping with the whole family or just yourself? 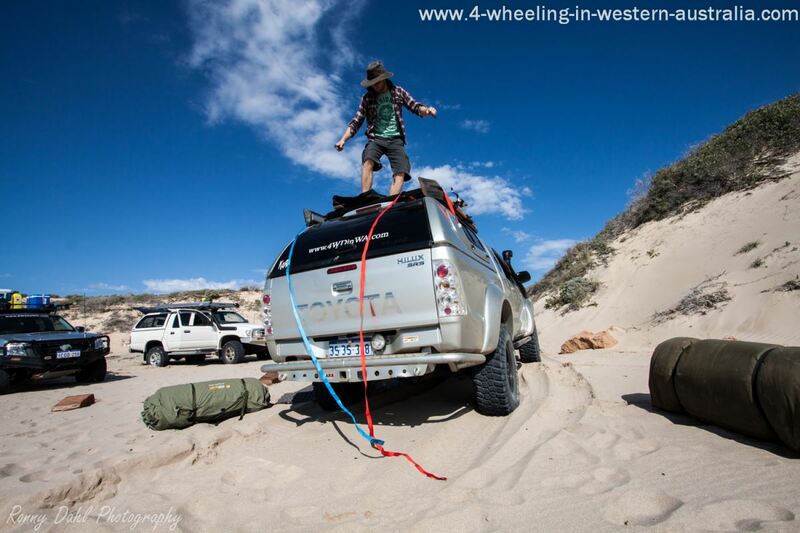 Do you mainly venture on Long trips of just weekenders? Setting up camp for just the night or the entire day? Have the above questions in mind when you go to buy a tent. Setting up a few dome tents in windy conditions. If bringing the entire family a bigger tent is needed, If new to camping be careful when buying tents as a 4 person tent will only fit 4 people laying down right up against each other with nothing else in the tent. This is just the way tents are measured; a 4 man tent is ok for 2 people with bags. If 2 adults and 2 kids are to fit in a tent comfortably, then at least a 6-8 man tent is recommended. Anything smaller will result in unhappy campers. Some Dome/pole tents can be a real pain to set up as there can be a lot of ropes, pegs, tags and poles/sticks to be positioned. Just make sure (whatever type of tent it is) that once it's packed up you have all the bits and pieces in the tent bag. If not your next camping trip will be a nightmare when it comes to setting up the tent. Choose your type of tent carefully as it’s for recreation and holidays, it’s not meant to add stress to some well-earned time off. Make sure it adds to the fun and play. SEE ALSO TIPS FOR CAMPING WITH KIDS. Really cheap tents are fine for casual camping (once or twice a year), if camping more frequently (once every 2 months or even more) then a better quality tent is highly recommended. Cheap tents are not as water resistant as higher end tents and are really not good for winter camping. In summer the cheaper tents get very hot mainly due to lack of mesh vents and flaps that cab be opened. Opening flaps and mesh vents are included in the higher end tents. Sometimes a camping trip can be much better by having a good tent, losing sleep because the campers are getting wet in the middle of the night or because it’s just too damn hot can make or break the next day of the holiday. 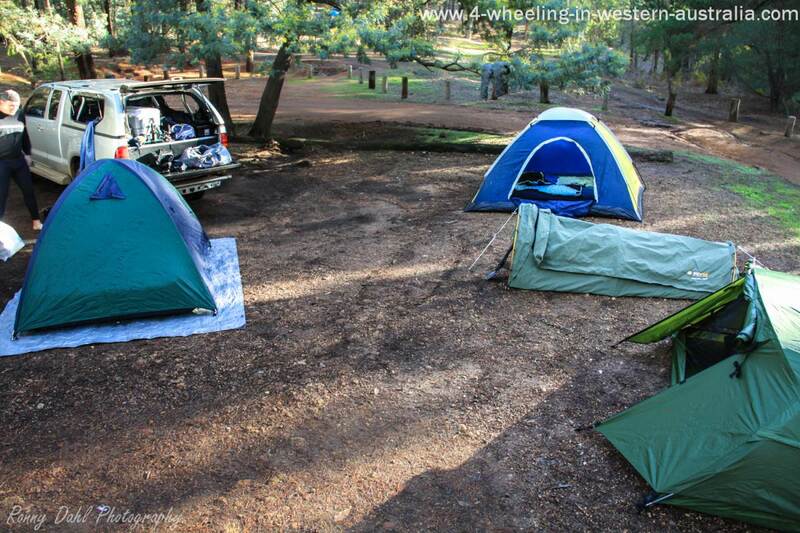 There are a huge amount of Dome/pole camping tents available so finding the right one shouldn't be too hard. Keep in mind that the bigger the tent the more involved it gets when setting up: pegs, awnings, window flaps, poles and under layers. If only camping overnight a huge tent taking the entire family 1-2 hours to set up is not ideal. A good tent is one that you can still manage to set up in the dark without too many hassles, so when looking at a new tent get to know exactly what the setup entails. The Swag is very easy and fast to set up, they come as just flat or domed. The domed swag takes about 5 minutes to completely set up which is no time at all. Swags are usually made from heavy duty canvas and will resist weather if treated with a water resistant spray (similar to the one used on boots and jackets). Swags only come in a few sizes, single, king size and twin. Even if you’re a small person I personally recommend the king-size swag. You can never have too much room in there. A twin swag will require a cuddly partner as there is no room to move! 1 Swag 3 Domes. These Dome Tents Are Sold As A 4 Man Tent. The Swag can be set up on the ground or even placed on a stretcher bed, in summer the stretcher bed is the best as it allows air to flow completely around the swag making it cooler. In winter on the other hand it can be best to place it on the ground as the cold nights will be even colder if the air can flow around it. Having it on the ground will keep the bottom of the swag warmer. On the other hand if it’s raining then it will be worth having the swag off the ground. If going on a bloke's trip, traveling by yourself, single occupant of a vehicle in a convoy or you just love to sleep under the stars then the swag is for you. Swags ready to be rolled out. These are awesome but very expensive; however for the price you get a hassle free tent with great quality storm resistant and tear resistant canvas. Although they say it takes 30 seconds to set up the RV Camping Tents they only allowed for the tent to be unfolded in 30 sec. After unfolding it you still need to beat a few pegs into the ground and then tie the tent down. The draw backs are the price and the size, it comes in 5 different sizes RV 1 up to RV 5 being the biggest. In the RV 5 you can fit 2 adults and 2 kids along with a few bags but that is it. If you have more than 4 kids this tent is not for your family. RV 1 -3 are really only for 1- 2 adults. Compared to the normal camping tents the RV versions are very heavy, but that also makes them very solid and strong. The RV 5 in it's bag is over 2 meters long and weighs about 25 kg, given the length of this bag it really needs a roof rack for transport. The bottom of the tent is made from heavy duty poly which is waterproof; it goes up the side by 100 mm all around making the tent ideal for rainy winter trips. There are plenty of options as far as accessories are concerned but these are very expensive. You can add on a front room by attaching fly net or canvas panels creating a closed in area for meals etc. A roof top tent is always ready anytime anywhere, super convenient. They do require a good strong roof rack and add some weight at the highest point possible, which is not ideal and will affect the centre of gravity and your fuel economy. Roof top tents can be expensive however they come ready to use. Roof top tents can only fit 2 adults with comfort or 2 adults and a small child. Not the best option for kids as they will have to climb a ladder to get in and out and it’s about 2m to the ground from up there. If travelling up north in Croc country this is a tent for you as it will keep you off the ground preventing you from becoming a crocodile’s dinner while you sleep. Rooftop tents vs the classic ground tents. 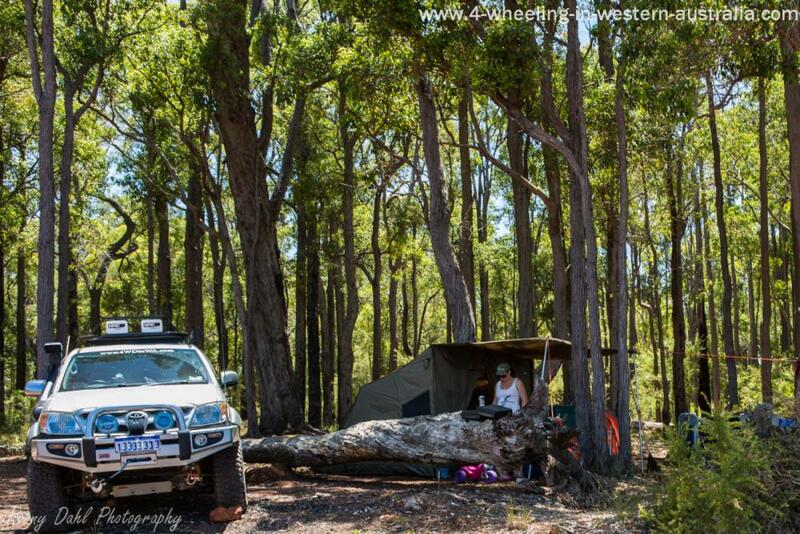 Leave Camping Tents And Go 4 Wheeling In Western Australia.